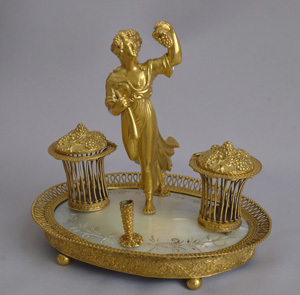 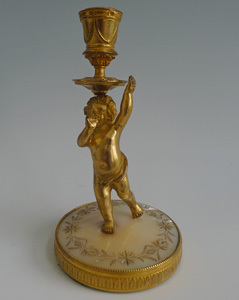 Antique Palais Royal mother-of-pearl and ormolu sealing wax and spill stand circa 1830. 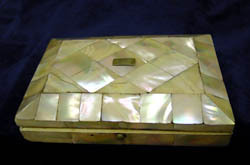 Antique French Napoleon III mother of pearl and ivory sewing box. 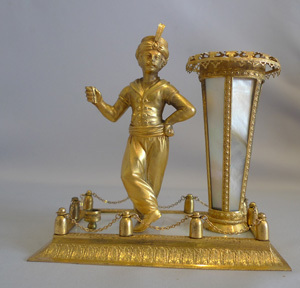 English 18th century George III Silver and engraved mother of pearl toothpick holder. 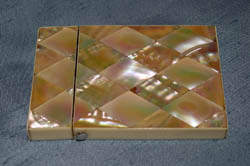 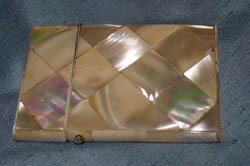 Antique French Napoleon III mother of pearl and ivory card case.